Paperback, 6.75 x 9.5 in. / 432 pgs / 150 color. Edited by Wowo Ding, Arie Graafland, Andong Lu. 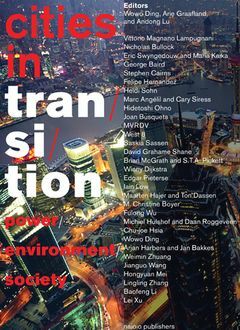 Text by Saskia Sassen, Fulong Wu, M. Christine Boyer, Vittorio Lampugnani, Eric Swyngedouw, Marc Angélil, Joan Busquets, David Grahame Shane, George Baird. Half of the world’s population currently lives in cities, and within two decades, this figure will increase to 60 per cent. For many, cities offer the opportunity for work and income, education and better living conditions. Cities are also the sites of extraordinary inequality, hosting extremes of wealth and poverty side by side. Cities in Transition takes stock of these developments and our global urban future, investigating recent political and economic developments in North America, South America, Europe, South Africa and China. 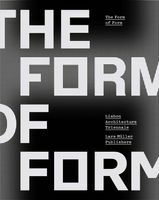 This volume features contributions from 30 experts in the field, including Saskia Sassen, Fulong Wu, M. Christine Boyer, Vittorio Lampugnani, Eric Swyngedouw, Marc Angélil, Joan Busquets, David Grahame Shane, George Baird and many others. Cities in Transition concludes with recent urban developments in China, an accelerated test case offering intriguing insights into the future of global urbanization. FORMAT: Pbk, 6.75 x 9.5 in. / 432 pgs / 150 color.